When it comes to psoriasis Ayurveda, you might not even understand what “Ayurveda” is or how it works. So before seeing how this method of health care or treatment works for psoriasis, we first need a basic explanation of Ayurveda. 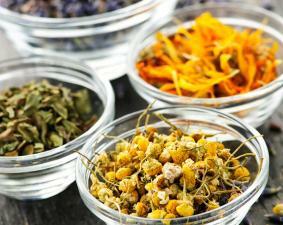 What are the Ayurvedic Pinciples? In Ayurvedic beliefs, every person has a “unique fingerprint” and a “distinct pattern of energy, a specific combination of physical, mental, and emotional characteristics.” Practitioners also believe that every person has doshas, which are three energy types: Vata, Pitta, and Kapha. Vata – Is the dosha that controls all of the types of motion in body functions, such as heartbeat, blinking, blood circulation, and breathing. When vata is out of balance one experiences anxiety and fear. When vata is balanced there is vitality and creativity. Pitta – Is the dosha that controls the metabolic systems, including, temperature, digestion, nutrition, and absorption. When pitta is out of balance, one experiences anger and ulcers. When pitta is balanced there is intelligence and contentment. Kapha – Is the dosha that controls growth, supplying water to the body, moisturizing the skin, and maintaining the immune system. When kapha is out of balance, one experiences envy and insecurity. When kapha is balances there is forgiveness and love. How does Psoriasis Ayurveda Work? Since stress can play a major role in psoriasis flares, Ayurveda works by lowering anxiety, blood pressures and cholesterol. Some of these results may be a bi-product of transcendental meditation, while others may come through the use of herbs or diet. Your first visit to an Ayurvedic practitioner may start out very similar to any first visit to a medical physician. You will be questioned about your medical history in very detailed fashion, as well as your general health. The practitioner will examine your skin, nail, tongue and eyes, feel your abdomen, and even listen to the tone of your voice. Some of the questions will be about your surroundings, diet, habits, and lifestyle. Pancha karma – Cleanses the body to reduce cholesterol and purify it using such methods as bowel movements, sweating, and vomiting to cleanse the body of toxins. Rasayana – Rejuvenates the body by using meditations and mantras, as well as herbs. Pranayama – Calms the body through breathing exercises. Yoga – Improves digestion and circulation, as well as reducing blood pressure, anxiety, pain, and cholesterol levels by combining meditation, movement, and pranayama. Abhyanga – Increases circulation and draws out toxins by rubbing herbal oil onto the body. According to Ayurvedic principles, an imbalance in Kapha and Vata is what causes or contributes to psoriasis. This imbalance is usually created by an accumulation of dooshi vishas” or low potency poisons, in combination with sun deprivation, genetics and a streptococcal infection of the respiratory system. The most common poisons that can trigger psoriasis are consumption of foods in the wrong combination (Example: fish or chicken with dairy), too much salty food, sour foods, yogurt, seafood, or black gram. Other poisons include tobacco, alcohol and even stress. Psoriasis Ayurveda is best treated through panchakarma therapies, which include the elimination of toxins from bodily fluids.